Easily the second most preferred food in the South, Chinese has always found pride of place on many a multi cuisine menu. But at a restaurant like Chin Chin, that already offers over 150 dishes from the Orient, why have the chefs taken the trouble to organise an Oriental festival? a�?We wanted to showcase a few dishes that are not currently on the menu,a�? 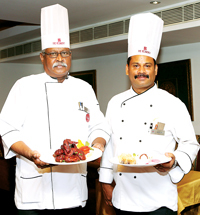 is chef Shanmugama��s reply. The festival menu however, says otherwise, with close to 20 dishes among the starters alone. Thankfully, the former executive chef of the hotel (now a consultant) has only created a�?a few specialsa�? for our sneak preview of the festival, that starts today. Our fondness of Chinese (Indian Chinese) is based on the fact that the food is tailored to suit our palate, says chef Shanmugam as we tuck into a plate of Thai chicken winglets. That he has tweaked the food accordingly, is something the chef readily admits. So wea��re not surprised that ingredients like lemongrass and galangal have been underplayed in the Thai seafood soup, allowing the fish sauce to dominate. Even the Macao cauliflower and Thai chicken wings seem to imitate tastes wea��re familiar with (think the ever famous gobi Manchurian and BBQ wings). 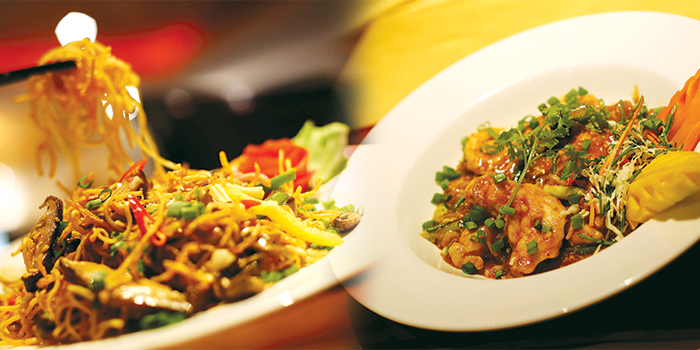 Other popular dishes you can expect are a corn and pepper fried rice (with fresh ground pepper, adds the chef) and double noodles (soft and crispy, tossed with shitake and button mushrooms) that pair well with a basa in black pepper sauce and a star anise flavoured Cantonese chicken. As I count down to the last sweet puff pastry dumpling on my dessert plate, the tasting ends, but youa��ll have more says the chef, promising paper wrapped fish, Korean bulgogi and plenty more.